This book contains now several HTML tables of contents that will make reading a real pleasure! 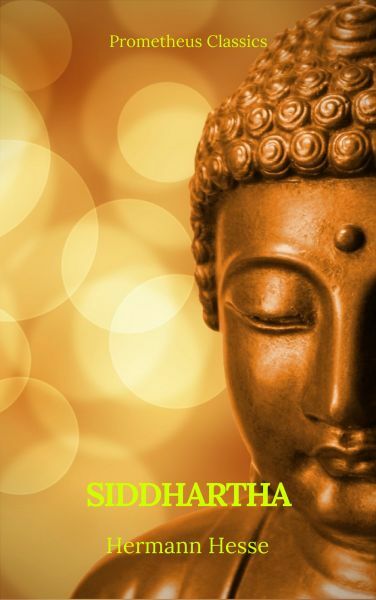 Siddhartha is an allegorical novel by Hermann Hesse which deals with the spiritual journey of an Indian boy called Siddhartha during the time of the Buddha. The book, Hesse's ninth novel, was written in German, in a simple, yet powerful and lyrical, style. It was first published in 1922, after Hesse had spent some time in India in the 1910s. It was published in the U.S. in 1951 and became influential during the 1960s. The word Siddhartha is made up of two words in the Sanskrit language, siddha (gotten) + artha (meaning or wealth). The two words together mean "one who has found meaning (of existence)" or "he who has attained his goals". The Buddha's name, before his renunciation, was Prince Siddhartha Gautama, later the Buddha. In this book, the Buddha is referred to as "Gotama"